In 2013, UCSD broke ground on the $269 million, 350,000 square foot Altman Clinical and Translational Research Institute. The new building is set to be completed this year on the Medical Campus alongside the Jacobs Medical Center. The new building is a gift from Lisa and Steve Altman. In 2004 UCSD opened the Leichtag Biomedical Research Building at its School of Medicine in La Jolla, and the same construction firm that erected it completed yet another biomedical research facility on the ever-expanding campus. (They also completed a new student union for the university in 2007.) The $105 million Biomedical Research Building II project opened in March, 2014. The new Health Sciences Biomedical Research Facility is five stories tall, has 196,000 square feet of (mostly lab) space, and sits on a 3.3 acre plot on the School of Medicine campus. It is sleek and modern in design and has the distinction of being the greenest building around, according to UCSD architect Boone Hellmann:"We're expecting this to be the highest performing and most sustainably designed research lab on the UCSD campus and quite possibly in the country." The $228 Million Sulpizio Family Cardiovascular Center building on the UCSD Thornton Hospital campus opened in August of 2011. The 128,000 square-foot building provides "the finest cardiovascular care but in an academic environment that includes teaching and research," according to director Kirk Peterson. The Center treats heart patients that were previously in Thornton Hospital, which is actually attached to the new building. Opportunities for collaboration among specialists are promoted through the building's multi-use design, and medical students have a rich new learning environment at the nexus of research and clinical care. 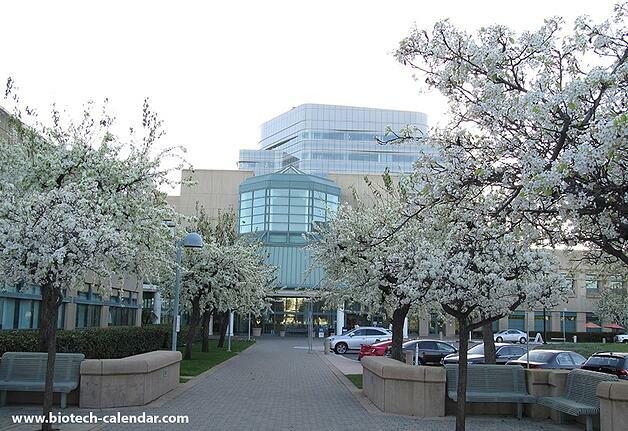 Lastly, the $664 Million Jacobs Medical Center is in the pipeline for a fall opening this year (2016). The 10-story, 490,000-square-foot facility will take patients from the current Hillcrest campus, allowing it to focus on trauma and emergency services. Jacobs will house three new hospital units: the Cancer Hospital; the Hospital for Women and Infants; and the Hospital for Advanced Surgery. The new building was made possible by a $75 Million gift from Joan and Irwin Jacobs in 2010. If you are a biomedical research lab supply vendor, a San Diego area life science researcher, or UCSD purchasing agent, you should plan to attend the Biotechnology Calendar, Inc. San Diego Biotechnology Vendor Showcase™ Event. 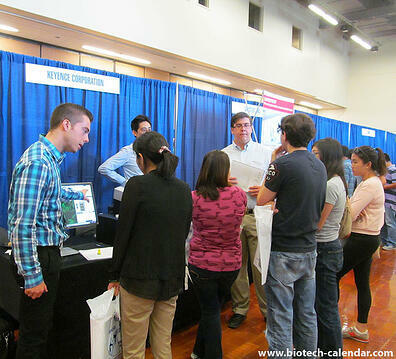 This life science laboratory product show and research networking event is held twice-annually on the UCSD campus. The event, now in its 24th year, is an excellent opportunity to meet and exchange ideas with life science and medical science researchers and to learn about up-to-date laboratory products, science supplies and analytical equipment. This San Diego Research community event will next be held on August 25, 2016.